Microsoft's first server-side scripting engine Active Server Pages is still very much in the web development game. Read on for a list of the top ASP Hosting plans on the market and find out a little bit more about ASP Hosting itself. 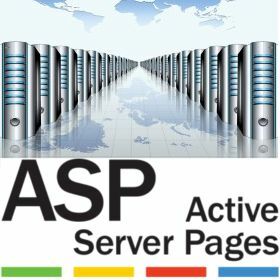 Microsoft Active Server Pages (ASP) enables the creation of dynamic web pages that can be viewed on any browser through use of a server-side script engine. ASP pages are easily recognizable for their .asp extension in the URL. It is a separate entity to the more advanced and commonly-used ASP.NET, which was developed in conjunction with Microsoft's shift to the .NET framework. 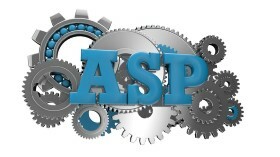 To differentiate from the newer version, ASP.NET, it is often referred to as Classic ASP or ASP Classic. Although much less prevalent now than it was in the past, Classic ASP can still be used to create advanced websites and web applications, and is therefore worthy of consideration. ASP programs run inside Microsoft's Internet Information Services (IIS) or its scaled down version Microsoft Personal Web Server, and can contain HTML, XML, and scripts. The scripts in the ASP file are executed server-side by the ASP engine, and returned to the user's web browser as plain HTML, meaning the browser itself need not support scripting at all. ASP was designed to allow web developers to easily build sophisticated web applications in a familiar object-oriented programming environment. Compared to other web programming languages, ASP was easier to use and required less coding, yet still created robust, fully-functional web pages and applications. Web developers sometimes use ASP for its simplicity and speed, or to create a web page that adapts to individual visitors, making it more personalized. A number of high-profile websites use the ASP language as their foundation, including institutions with highly sensitive data, such as banks. Although ASP isn't as commonly used as PHP, it's still useful for eCommerce websites, primarily because it integrates well with MS SQL databases. PHP (PHP: Hypertext Preprocessor), the popular and versatile server-side scripting platform, is currently the most popular programming language and therefore is a key competitor to ASP. PHP is well-known for powering popular Content Management Systems (CMS), such as WordPress, Drupal and Joomla. The Java equivalent of ASP and PHP is JSP, which stands for Java Sever Pages. JSP is unique but similar in many ways to ASP. For those who prefer or require a commercial solution, ASP.NET is the chief competitor to ASP. In order for the page to be viewed, it must be requested through an ASP Hosting server. Therefore, any web developer designing an ASP-based website needs to ensure they find ASP Hosting that supports it. Generally, the best results come from hosting on Windows Servers, as they will automatically support ASP due to also being Microsoft products. However, Unix, Linux, and other server types can also support ASP if needed. Due to the relative age of ASP (it was first released in December 1996 as part of IIS 3.0 and has been included in every version of Windows Server), there aren't many Web Hosting Companies that are unable to support it. Ensure that the solution you choose offers plenty of support not only for ASP, but also for the type of database you will be using, be it MySQL, MS SQL or any other - the hosting plans in the list above are a selection of the best ASP Hosting options available. Is ASP right for me? Generally, PHP is more popular than ASP because it is more accessible - if you have a small site that just requires a small amount of active content, PHP may be the better choice. If you would rather use Microsoft technologies, ASP.NET is possibly the best option for you. Despite its age, ASP is still well suited to handling large applications and large amounts of active content. It is most often used now in situations where a great deal of ASP code already exists, making it simpler to use what is already there than to recreate the site from scratch, but with the plans listed here on this page there is nothing at all to stop you from hosting an ASP website. Get your ASP Web Hosting plan today!